You should focus on the figures themselves. 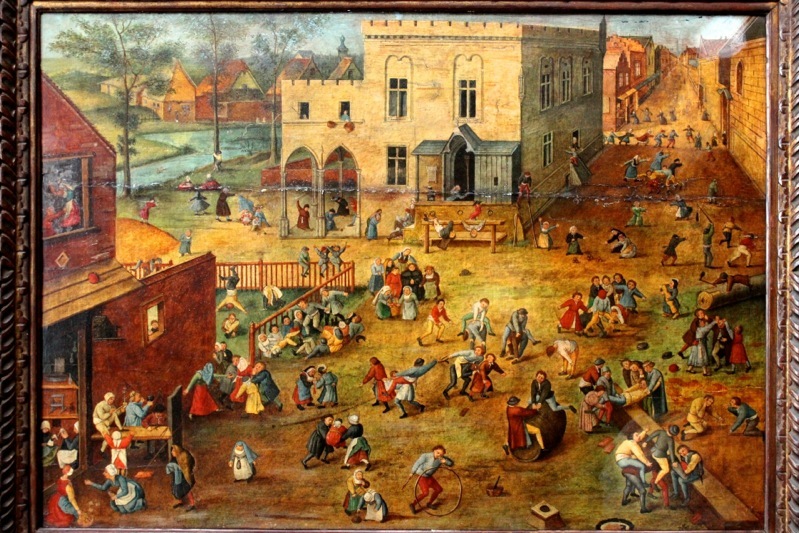 The original painting has adults performing children games. 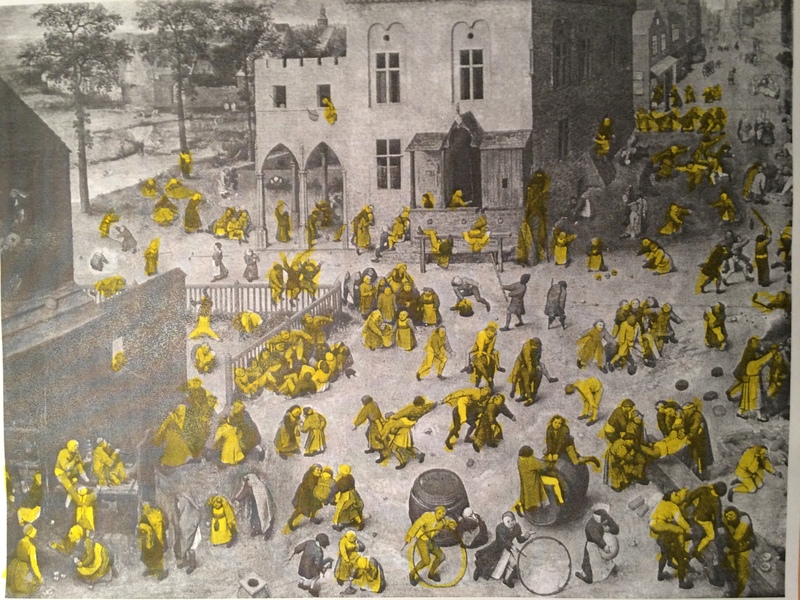 The copy has replaced the adults with younger people and even young children. I consider this difference more important than the missing people. 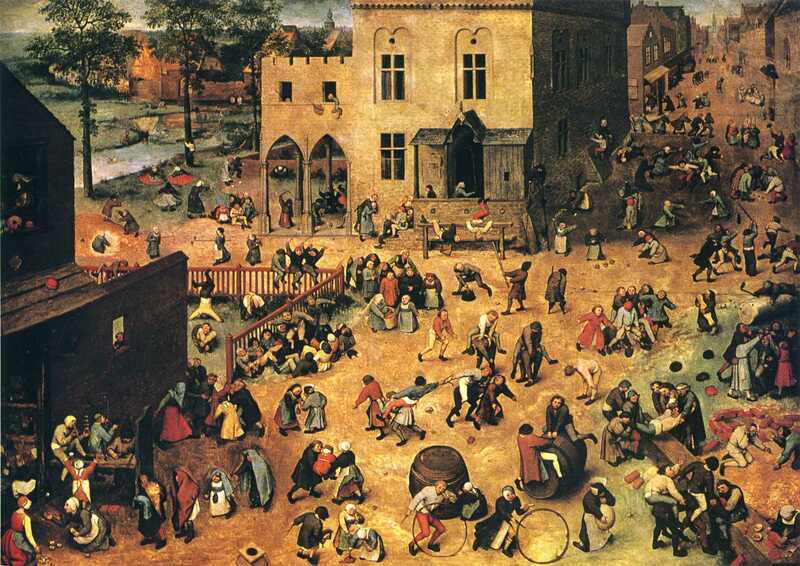 Is it possible the painting was painted by Bruegel himself? It could be possible he first painted it like this, with actual children, and then he painted it again because he wanted to have adults in it. And he filled the empty spaces with more games. The dates and authors would have to match of course and I don’t know if that’s the case. But if it is, I consider that to be a possible explanation. This is an interesting theory. I will look into this. I appreciate you bringing it to our attention. Thank you!